Narrated predominantly by Curtis Morgan, we learn that Nyarri and his indigenous people are more or less cut off from the wider world. They are blissfully unaware of the ever threatening arms race, the alarming progression into weapons of mass destruction. This enviable ignorance is shattered when Nyarri’s homeland is decimated by the British as they test nuclear weaponry in the outback. 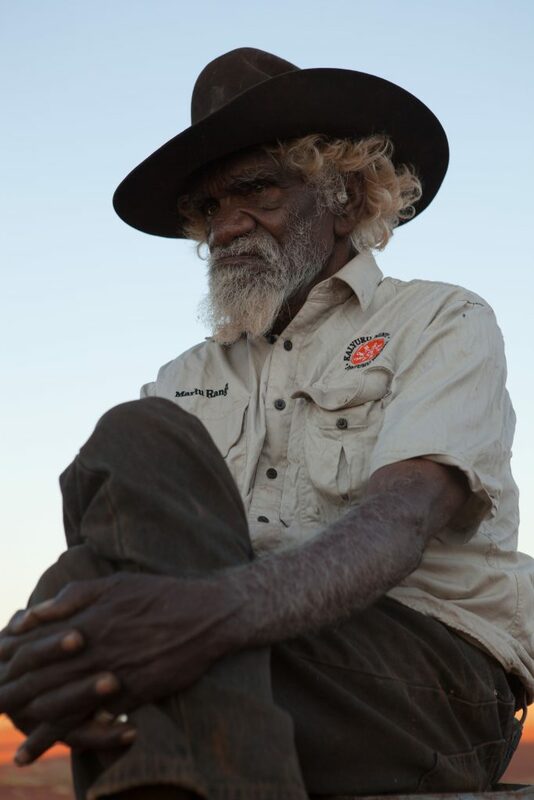 Wallworth’s film highlights an important untold piece of history, the consequences of Western culture on the indigenous people. Nyarri explains how in the vastness of smoke and fire he sees a demon, a deity, something of omnipotent power. The VR experience is particularly enthralling during this segment as the atomic plume rises, a menacing skull subtly looks down upon the land. Kangaroos are swept to the ground and ash begins to rain down, looking left to right, the power of the atomic bomb is immeasurable. In contrast to this, we later watch Nyarri perform an ancient method of protecting the outback. Using fire as tool, he tactically burns streaks of the landscape, which in turn prevents mass wildfires protecting his home and people. We watch from an aerial view, able to scan across his work and admire the scale and methodology of his archaic conservation. His usage of fire to protect the outback juxtaposes the British’s manufactured nuclear inferno, that destroys all in its path.